I wasn't sure what to do with the award this week - I was beginning to feel like a freak of nature ... especially when my sister-in-law called me a freak of nature - since no one seemed to be excited about the topic. I really do start thinking about costumes in July and I get totally excited about them. And since it brings so much satisfaction into my life, I'll keep to my freakish ways. Owing that I got them from my dear mom - she deserves this award. Wasn't that costume great??? I am so glad my friend Zombette had this picture handy - thank you. 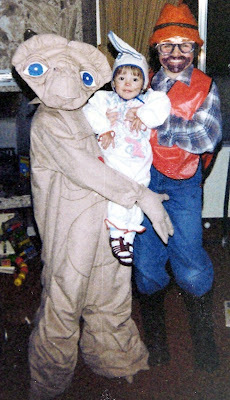 And thanks Mom for the great costumes over the years. 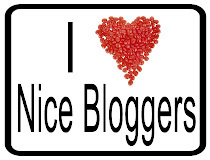 And to everyone - I am loving them all, I have been checking out your blogs and some of you I actually saw in person. They are all very cute and I think everyone did a great job costuming the little ones this year. Now time to get ready for Thanksgiving!